Equestrian Canada (EC) extends heartfelt condolences to the family and friends of the late Jean-Pierre Arvisais of Blainville, QC, who passed away on Aug. 24, 2018, at the age of 76. 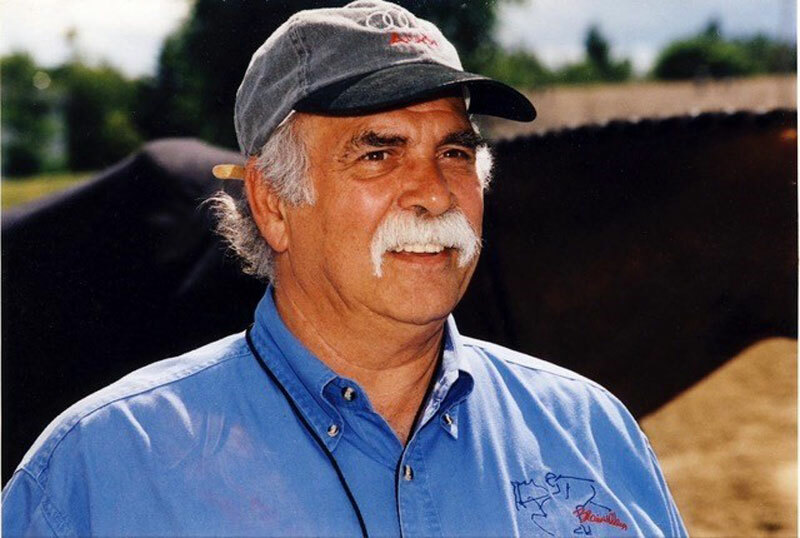 As the Past Chairman and President of premier advertising agency, PNMD Communications Inc. (BBDO Montreal), Arvisais brought his keen sense of promotion and global marketing to the equestrian world as co-founder of Blainville Equestrian Park. In addition to activities for the general public, the park hosted FEI level events in dressage, driving, jumping and reining, all featuring Arvisais’ signature, high-quality touch. The highlight of the show calendar was the Freestyle Gala, which was Arvisais’ master stroke of elegance and entertainment. Held annually during the renowned CDI-W Blainville International Classic, the dinner featured Grand Prix and Intermediate I Freestyle performances, and was sold out every year for its existence of more than a decade. Furthermore, Arvisais regularly traveled the world to discover new approaches to equestrian sport and bring the lessons he learned back to implement in Canada. Perhaps his most prolific import was the French model for organizing pony clubs. For well over a decade, Arvisais worked closely with the French national equestrian federation, la Fédération Française d’Équitation (FFE), to develop pony clubs in their likeness throughout Quebec. In recognition of his efforts, he was awarded the FFE’s prestigious Medal of Honour in 2004, as well as Blainville’s Order of Merit in 2006. Today, Le Poney-Club de Blainville still runs out of the Blainville Equestrian Park, and is hugely successful in engaging local youth. Arvisais is survived by his wife, Louise Lefebvre Arvisais; daughters, Dominique (Lawrence Cannon) and Joëlle (Riccardo Spensieri); grandchildren, Frédérique and Alex; extended family and many friends. The family will be receiving condolences on Sept. 9, 2018, at Les Salons Funeraires Guay Inc. (418 Boul. Labelle, Rosemère, QC) starting at 9 a.m. A memorial service will be held at 11:30 a.m. Donations in Arvisais’ memory can be made to the Montreal Heart Institute.